Welcome to the Gita Nagari Moos-letter! Please accept our gratitude to you - our dairy subscribers, community members, and friends. Thank you for your continued support and commitment! Gita Nagari is a growing project with a big vision. As the USA's only certified slaughter-free dairy farm, our goal is to show the world how compassionate farming is not only a viable agricultural model, but is the way of the future. Without your support our mission would come to a halt! We hope that even though you may not be able to visit us in person as often as we would all like, this newsletter will help you see and feel what an integral part of this project you really are. After a cold winter all the residents of the farm are just waiting for a warm sunny day - especially the cows! 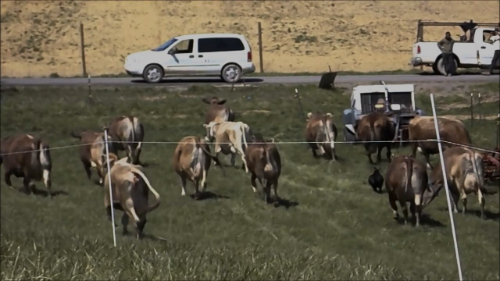 Watch as they run and frolic while enjoying fresh pastures for the first time this spring. If you've visited our farm and met our cows you know one thing for sure - they are happy! And that's how we like to keep them. 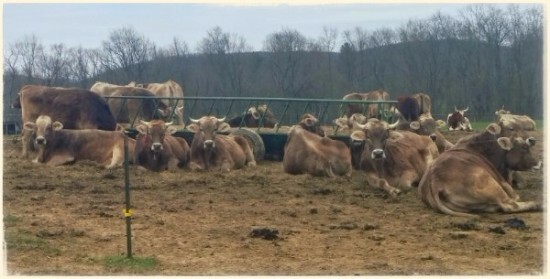 Along with our cows we also keep many oxen on the farm. Our head ox trainer often says "A working ox is a happy ox." In our last newsletter we expressed a need for a heavy-duty ox riding wagon. By a fortunate arrangement we found one and for $2,000 less than anticipated! 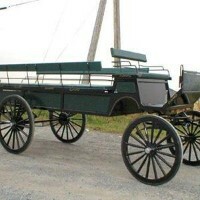 Soon we will be able to offer tours of the farm on our 12 passenger ox-powered wagon - we just need your support. Whether you can give a lot or a little - doesn't matter! If we had just 100 individuals who gave $30 each this project would be completely paid off. Any surplus funds will be used to purchase yolks and other equipment for the oxen. Let's work together to make the oxen happy and watch the dream of Gita Nagari unfold before our eyes! This cart must be paid for by May 13th if we are to bring it to the farm! Follow the link and click the donate option to support this project - donate here. A key facet of our farm is sustainability. Without protecting bees our entire ecosystem would be in danger. Bees help tremendously with crop growth and also provide honey with amazing medicinal qualities! 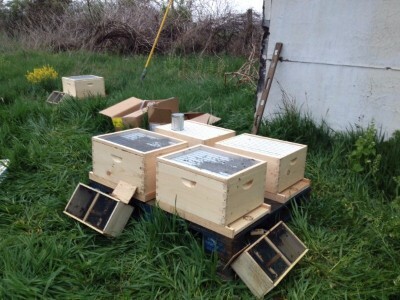 With the help of our friendly bee consultant we have acquired five hives to start. We would like to bring more bees to the farm so our yield will be more fruitful and all of the residents will be happier. Natural honey will also be a great product to offer to our community of supporters. If you are inspired to contribute to this project please contact kesimardana@theyogafarm.com.